Anthony wore himself out in the service of Jesus and the poor and died aged thirty-six. At a time of laxity and abuses God seems to raise up charismatic figures who can bring new life and hope into a tired Church. One such was Anthony, born in Cremona, south of Milan in the 16th Century. Patrick Duffy charts his life. Anthony’s father died when he was two and his mother, a widow at eighteen, devoted herself completely to bringing up her son. He studied philosophy and medicine at Padua. He returned to his home town, but it is not clear if he actually practised as a doctor. Convinced that people need spiritual as well as physical healing, he became a priest and in 1530 founded the Clerks Regular of St Paul that later became known as the Barnabites. At the same time a group of women around Ludovica Torelli, Countess of Guastella, chose him as their spiritual director and became a non-cloistered community known as the Angelics of St Paul, sharing the same spirituality. A third group, of lay people, became known as the Marrieds of St Paul. At a time of great laxity and corruption in the Church, Anthony’s aim was “to regenerate and revive the love of divine worship and a properly Christian way of life by frequent preaching and faithful ministry of the sacraments”. 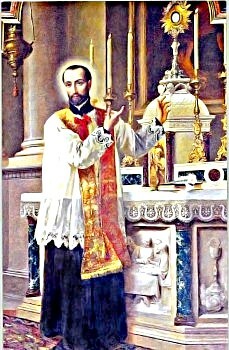 He emphasised Pauline doctrine and devotion to the Eucharist. In 1539 his priests began working out of the Church of St Barnabas at Milan and became known as Barnabites. Anthony spread the Milanese custom of three days devotion to the Eucharist – the Forty Hours. And he introduced the custom of ringing Church bells on Friday evening at three to mark the death of Christ. In a context of laxity among the clergy, his zeal was probably an embarrassment. He was twice denounced to Rome for heresy but each time was exonerated. 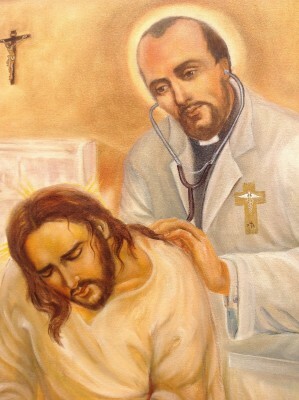 Anthony wore himself out in the service of Jesus and the poor and died aged thirty-six. His order, however, survived, growing steadily, but never becoming very large. His priests chose to work among the poorest of the poor and the “excluded”, especially in big cities. They spread to France, Germany, Belgium, the Americas and they have a small missionary presence in Africa. Pope Leo XIII beatified Anthony in 1890 and canonised him in 1897.